The new establishment is located on prime real estate right on Stadhouderskade, wedged between a number of offices with no other viable lunchtime options in the immediate vicinity. For those of you unfamiliar with Italian cuisine, the name is exactly what it suggests. 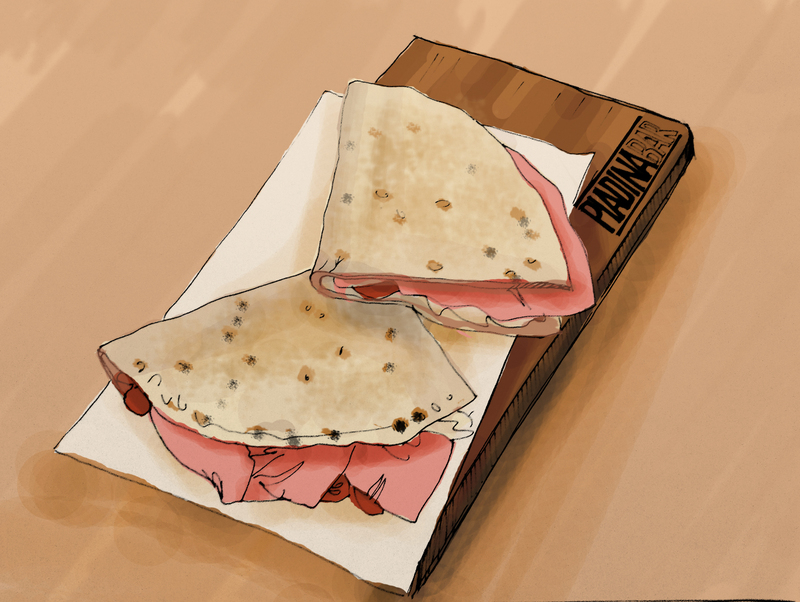 Piadina – also know as Piada – is a thin flatbread from the Romagna of Italy, which is typically filled with deliciousness in the form of salty meats, soft cheeses and other tasty treats from Italy. At Piadina Bar the bread is freshly made from quality ingredients so you get the real deal. But this isn’t Tinder, so let’s get to the real reason why you’re here – the cibo! Our personal favorite is Golosa. It’s a piadina with Praga ham, mozzarella di bufala, tomato and pesto alla Genovese. It’s the perfect mix of soft chewy bread, salty meat and smooth creamy cheese. As a matter of fact, there’s drool on the keyboard right now! If that doesn’t tickle your fancy, you must be crazy! But there are other amazing options, including a vegan variety, salmon version and one even made with truffles. Other dishes include salads, Tagliere and Crescioni. In true Italian fashion, they’re also happy to offer you an espresso to end your meal. Other drinks include wine, fresh mint tea and freshly squeezed orange juice.